I had received the Moroccan Rose Superfood Facial Oil in one of my Glossybox monthlies and I went and looked on the Dr Botanicals website. I’d been looking for a new exfoliator and they had a good offer on, so I bought another of the Rose oils for a gift and got the Coffee Superfood Renewing Facial Exfoliator for myself. I have had this for a few months now and it has been a regular in my skincare routine. I don’t feel the need to use it every day but I use it about twice a week. Vegan certified Dr. Botanicals products, are made only of natural ingredients. Never tested on animals, this range embodies our belief in the potent power of botanicals. 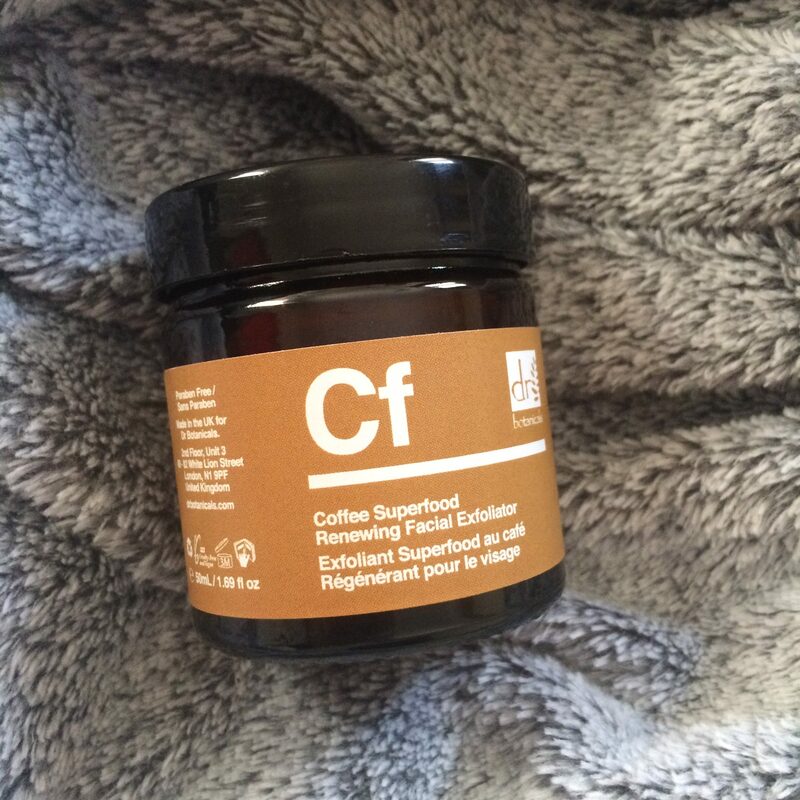 Our Coffee Superfood Renewing Facial Exfoliator gently exfoliates, enriches and refreshes your skin. 1) Coffee Oil is concentrated from the green coffee bean plant and it is high in antioxidants and fatty acids that nourish and work to protect the skin’s complexion. 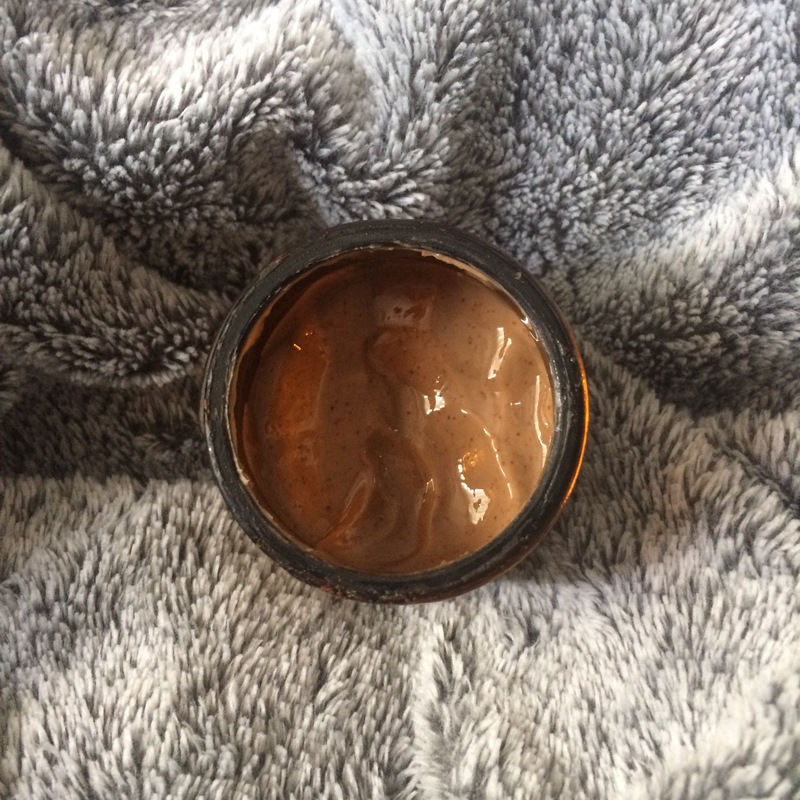 2) Walnut Shell Powder is a natural exfoliant, it gently removes dull and dry skin cells to reveal soft and smooth skin. £17 for a face exfoliator might sound like a high price point and I did think this at first but I had read that you didn’t need to use much and if it’s good it would be worth it. I feel I should mention the smell as coffee is not everyone’s favourite scent but this is more creamy, more like a tiramisu scent. It’s not the usual coffee scent that I’ve had in body scrubs. I like coffee scents but I have to say this one is yummy, it does make exfoliating a little more fun! I have used each time about a 5p piece dollop and been surprised by how creamy the texture is but then when I start to rub it over my face and feel it doing it’s job. It’s not at all painful and you find yourself getting into a routine of circle movements on your face. If anything it is surprising to remove when you start to see your face covered, you wonder how you’ll remove it all. A simple wipe away with a cloth was all it needed and I could already feel my skin was feeling smoother. It does make my skin brighter and whilst I do currently use it twice a week, if I tan over the summer I will use it more. I would definitely re-purchase this, although I can’t see me having to do it anytime soon. Check out more from Dr Botanicals on their website. Follow them on twitter, facebook and instagram. Review is my honest opinion based and not sponsored. Bought with my own money.